Which files should I edit in order to change sizes of 3D player model and kill feed? Also how to remove this? Is it possible to change the font size of player names that appear above heads at all? With custom hud clocks being broken, which .res is the clocks ? Any clock outside of MM or in the Stopwatch panel is broken, regardless of hud! To fix the timers for MM is moving the contents from HudObjectiveStatus to HudMatchStatus and add if_comp to control looks/position stuff for specific hud elements. 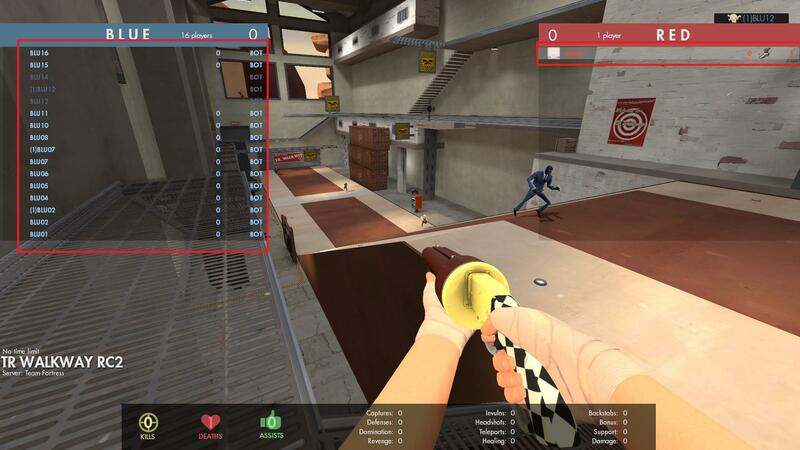 To fix the timers for MM is moving the contents from HudObjectiveStatus to HudMatchStatus and add [i]if_comp[/i] to control looks/position stuff for specific hud elements. Is there any way I can edit "CHealthAccountPanel" in Resource/UI/HudHealthAccount.res and "CDamageAccount" in "Resource/UI/HudDamageAccount.res" so that I can split up the text into multiple fonts? For example, how can I edit the "+100" text from a healthpack pickup or a crossbow arrow so that the "+" and the "100" are two different fonts, if this is even possible? TheCapeKidIs there any way I can edit "CHealthAccountPanel" in Resource/UI/HudHealthAccount.res and "CDamageAccount" in "Resource/UI/HudDamageAccount.res" so that I can split up the text into multiple fonts? You could do it for the static damage numbers since it's a separate control, but afaik you can't make more controls for health-pickup or the world damage numbers. What you could do is change the glyph at the font level; I've done this to add subtraction/addition characters to fonts without them. [quote=TheCapeKid]Is there any way I can edit "CHealthAccountPanel" in Resource/UI/HudHealthAccount.res and "CDamageAccount" in "Resource/UI/HudDamageAccount.res" so that I can split up the text into multiple fonts? how can i edit damage numbers font and outline? everytime i get a new hud ex. broeselhud, m0rehud, etc. 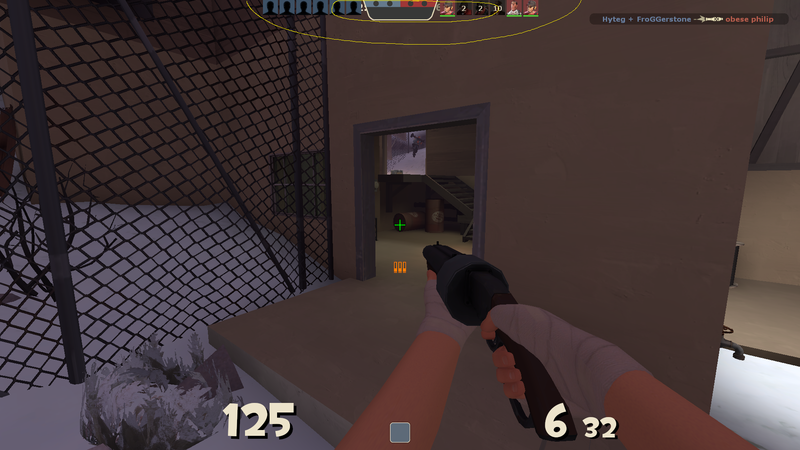 the damage numbers are the ugly stock tf2 font in yellow with no outline. has anyone made an updated version of yoshi's yshud? Eric TheCapeKidIs there any way I can edit "CHealthAccountPanel" in Resource/UI/HudHealthAccount.res and "CDamageAccount" in "Resource/UI/HudDamageAccount.res" so that I can split up the text into multiple fonts? Alright, thank you for your input. I'm probably gonna mess with the .ttf files - is there a simple/straightforward way to importing letters from one .ttf to another? [quote=Eric][quote=TheCapeKid]Is there any way I can edit "CHealthAccountPanel" in Resource/UI/HudHealthAccount.res and "CDamageAccount" in "Resource/UI/HudDamageAccount.res" so that I can split up the text into multiple fonts? WiethoofdAny clock outside of MM or in the Stopwatch panel is broken, regardless of hud! Still having some trouble to get it to show up even in mm. While it isn't the biggest deal, it is frustrating. 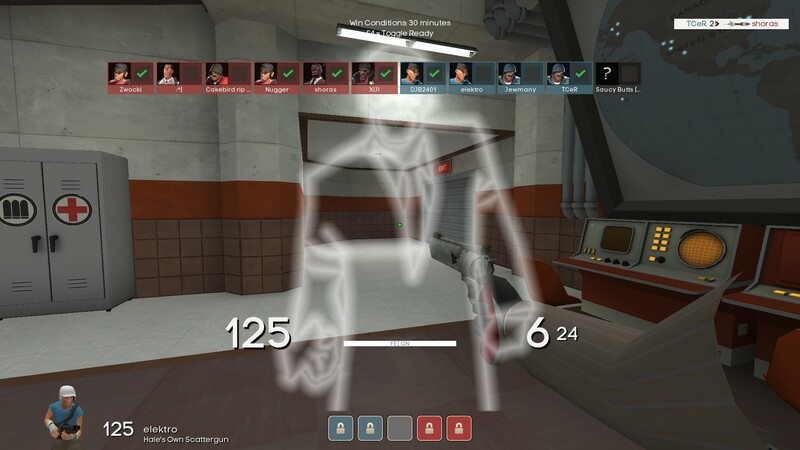 Does anyone know where this: https://gyazo.com/598f4a53e49f1b1027722f4490eb8109 is located in the hud files and the code? ShipseeDoes anyone know where this: https://gyazo.com/598f4a53e49f1b1027722f4490eb8109 is located in the hud files and the code? Pretty sure it's in the quests folder. It's either the questitempanel_base.res or it's in the pauling folder. Don't honestly remember at this point since it's been awhile. Does anyone know how to remove that line, I can't find the code anywhere in my lobbypanel. EevoveDoes anyone know how to remove that line, I can't find the code anywhere in my lobbypanel. lobbyleaderboard.res in the econ folder. [quote=Eevove]Does anyone know how to remove that line, I can't find the code anywhere in my lobbypanel. Yoshi EevoveDoes anyone know how to remove that line, I can't find the code anywhere in my lobbypanel. Thanks, mind if I add you for further questions? [quote=Yoshi][quote=Eevove]Does anyone know how to remove that line, I can't find the code anywhere in my lobbypanel. So I went and edited the lobbyleaderboard.res file, now it just looks like this. How would I move the element that shows how many stickies you have active? When i am on mvm lobby panel and i press invite it shows the list of my friends to invite to the party! But when i am in the matchmaking panel and press the invite it doesn't do anything! Any idea? What you file you want me to post for you? I think it is only a bug. Try pressing the invite button several times until it comes up. Eevove Slayer6When i am on mvm lobby panel and i press invite it shows the list of my friends to invite to the party! But when i am in the matchmaking panel and press the invite it doesn't do anything! Any idea? What you file you want me to post for you? I think it is only a bug. Try pressing the invite button several times until it comes up. Checked if the code has *"Command"	"invite"* in it?